Typically, a 3D visualization of a water main doesn’t inspire awe and amazement. It’s not exactly a thing of beauty like, say, a model of Moscow’s Saint Basil’s Cathedral, India’s Taj Mahal, or San Francisco’s Golden Gate Bridge. But an accurate visualization is a communication tool that can help firms win work on new architecture and infrastructure projects. Today, Lyons still consults for Cole Engineering Group and other firms, and he’s taking model-based design even further with Landproject. “I’m maximizing the BIM model for infrastructure projects and extending the value of that design model beyond communicating for approvals and into construction,” he says. 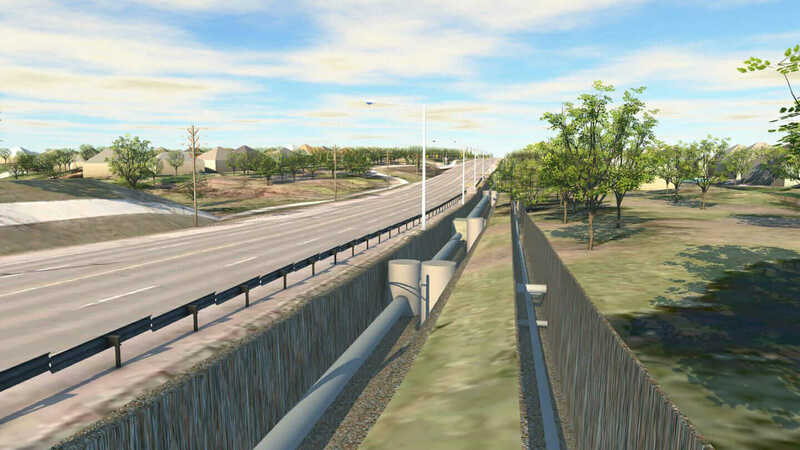 An InfraWorks rendering of water and sewer mains in Toronto, Ontario, Canada. Courtesy Landproject. The resulting model is more intelligent than just a visualization; it’s not just an impressive image to win a bid. The content of the model can be part of the ongoing conversation during the entire design-build process. Questions of Impact. As examples of his modeling use, Lyons cites his work on two linear projects: a nearly 16-mile water main running through farmland and small towns and a 4-mile-plus rapid-bus line running through an urban area. “It’s not really typical to create a visually appealing model for a water main, but it was appropriate for this project,” he says. “Cole Engineering was generally quite experienced on underground work, and on this project, we were doing some very innovative things. Using models for two alternatives, we were able to show how construction and trenching would affect various urban areas. 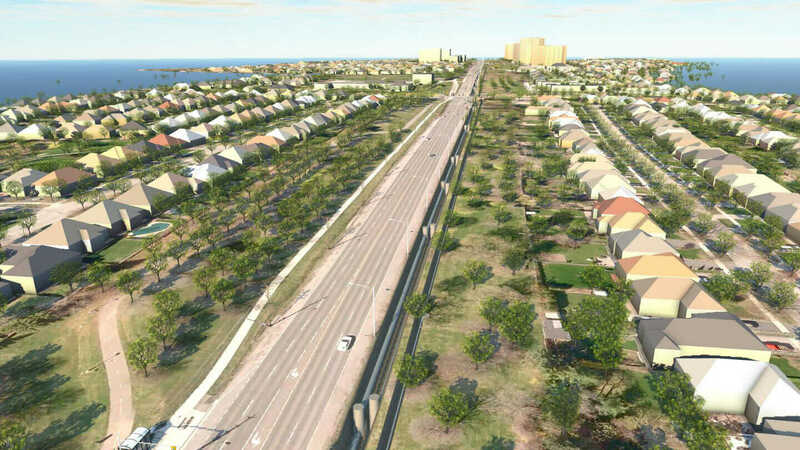 An InfraWorks rendering of the trenches for water and sewer mains in Toronto, Ontario, Canada. Courtesy Landproject. He points out that, in both cases, the models weren’t especially complex—they didn’t feature animations or flyovers—but they were accurate. 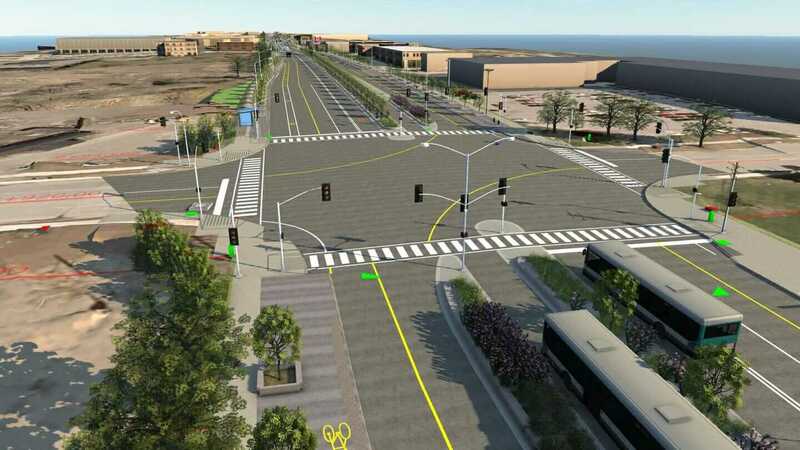 That is to say, the simply rendered information shown was pinned to reliable integrated GIS, GPS, and LiDAR data. In fact, having accurate data even in early display models is a principle he’s built into his CAD practice. Tips to Win. Lyons has a couple of basic principles for civil engineers working on models intended for winning and explaining projects. Lyons is also using Autodesk ReCap to bring very large data sets into his InfraWorks 360 models. “Recently, I used ReCap to drop 2 to 3 billion points into a model, and it was astonishing—like a hot knife through butter,” he says. “It made my client happy to see such a clean workflow, and I encouraged them to hand the data off to engineers for use in design.” Lyons was so impressed that he bought an Unmanned Aircraft Systems (UAS) drone to experiment with gathering his own photo-capture data. Lyons’ experience with modeling tools has convinced him that models intended for presentations don’t have to be merely attractive. 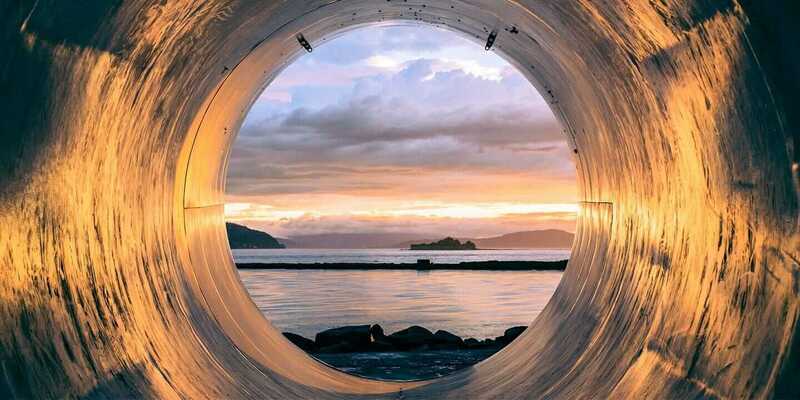 By paying attention to detail and taking full advantage of modern capacities for data importation, the model that wins the project can also be the model that serves the engineers and contractors who design and construct the actual infrastructure. And maybe that’s worth a little awe and amazement.